A design is creative and imaginative in the show by Fimar, an Italian furniture company that a lot of modern furniture that serves a variety of unique and versatile. 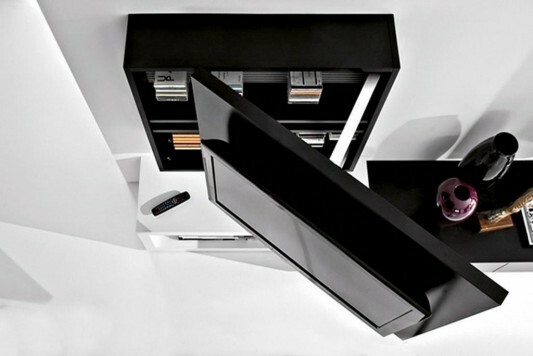 TV cabinets that are part of modern living room decor is designed in a creative and unique design, has a hidden cabinet where the LCD TV set. 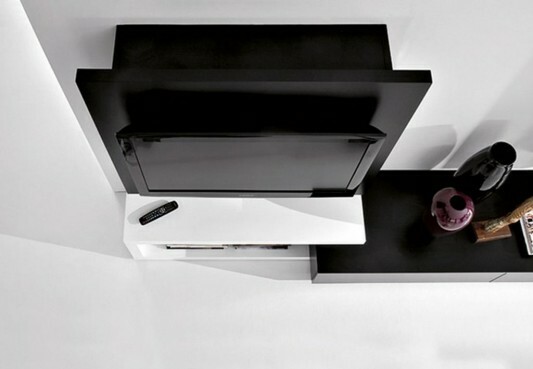 TV units in pairs at the door of an innovative cabinet attached to the wall. 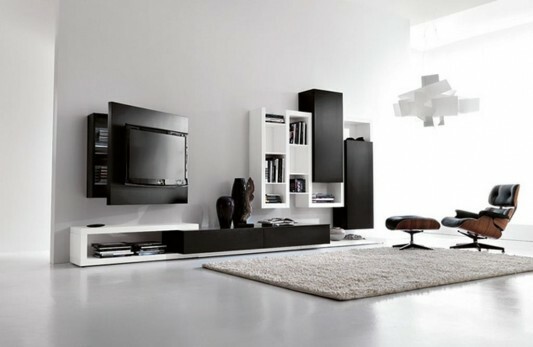 In addition to having a flexible and functional design you can also set the position of the TV with ease. 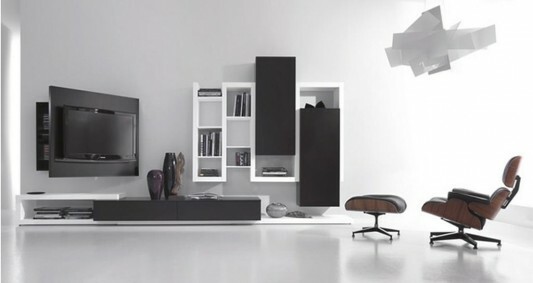 It becomes a perfect complement to the modern living room interior decor, a mix between black and white color that contrasts to be part of this living room furniture. 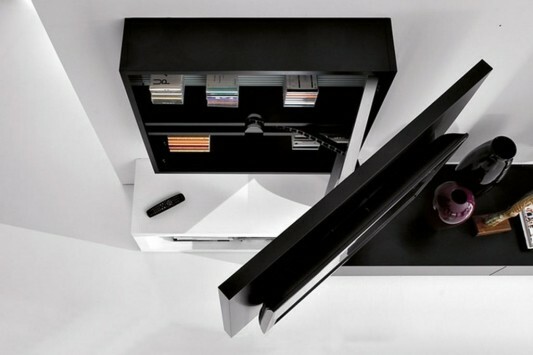 Fimar actually created a TV full of imagination, where the back can be used as a functional storage space. You can also hide a variety of cables and electronic equipment behind for the beautiful looks rapid. With a solid construction, and workmanship that detail, it is strong enough even for a TV with a size slightly larger. More information visit Fimar Mobili.